I last played Detached at PAX West last year. 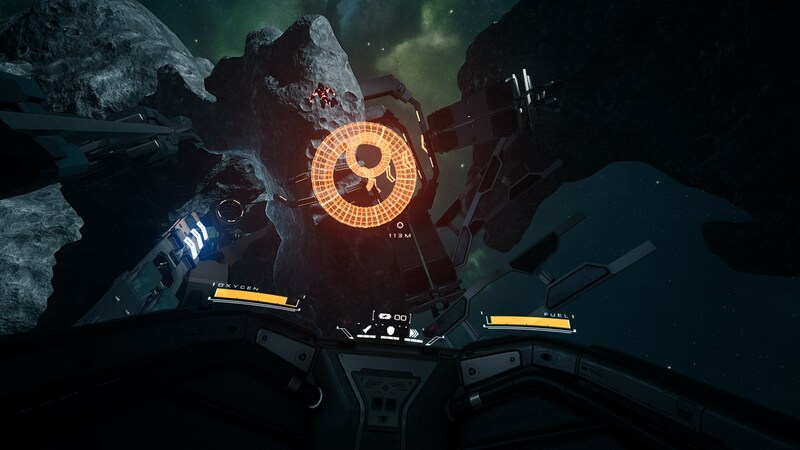 It was my first time playing a VR game, and as a game where you play as an astronaut in zero gravity it was an interesting experience, if nothing else. Now, having played it again, I got the chance to see what’s changed in the last year. The game is basically the same. 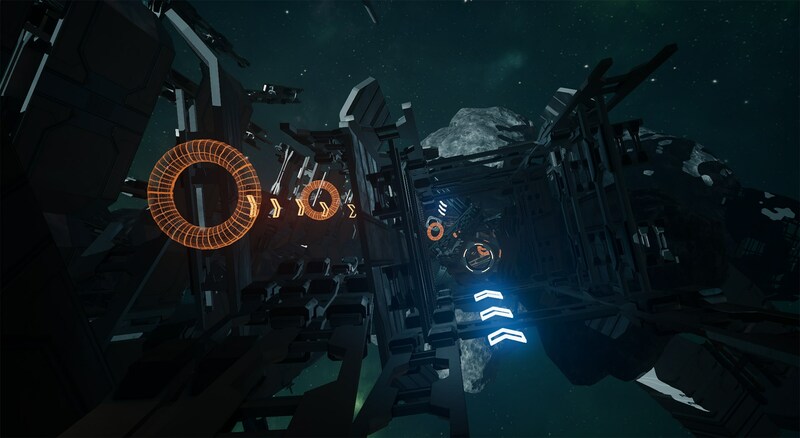 You play as an astronaut, flying around a ship in zero gravity fulfilling various objectives. Eventually you leave the ship and go into outer space, traveling from one ship to another. That much is the same as last year. The main new thing in this year’s demo was the control scheme: instead of using a standard controller, this build used the Oculus Touch motion controllers. The new control scheme seems simple enough. The left controller is used for aiming and movement, and the right controller is used to control rotation by angling it. However, it takes a lot of getting used to, even more so than the original controls. I find it makes things more complicated and harder to control, especially once you start gaining abilities and it can be difficult to tell which button on which controller uses it when you can’t see them and have never used the Oculus Touch before. That’s more the fault of myself, though, rather than the game itself. There’s also the ability to choose between arcade and astronaut modes; astronaut mode makes you keep rotating once you release the button, while you stop immediately in arcade mode. I actually found myself getting some motion sickness after switching to astronaut mode, due to the increased amount of rotation compared to arcade mode. The other new thing in this version of Detached was the player versus player mode. I briefly mentioned it in my look at the game last year, but this time I was actually able to try it out. It’s a race between players to pick up a payload, call one of their team’s ships, and then deliver it to the ship once it arrives. This is where the abilities are important to use; the boost to reach the objectives more quickly, the lock-on rockets to attack the opponent and force them to drop the payload, and shields to protect yourself from the opponent’s rockets. This mode is significantly more intense than the regular gameplay, because there’s actually an element of tension other than keeping track of your oxygen and fuel supplies. 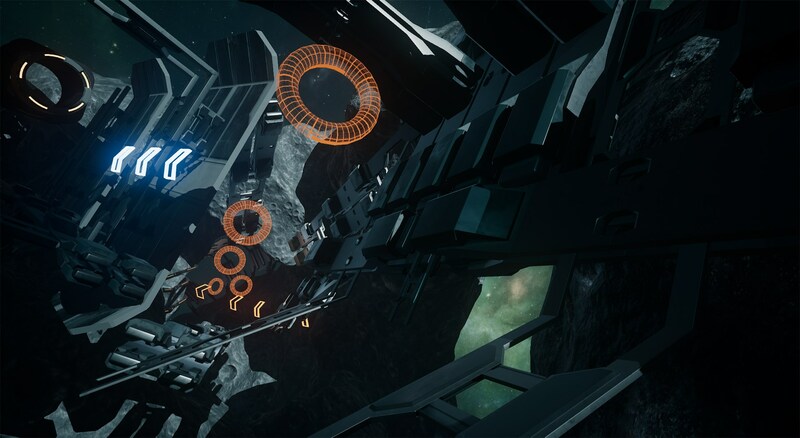 Detached has its interest, and makes good use of the VR to enhance the atmosphere. However, I wouldn’t say it’s worth buying a Rift or Vive for, if the demo is any indication of what the full game is like. However, the game is available on Steam now if you have a VR headset and think it might interest you.